When people often think of substance abuse and drug addiction, they immediately think of illicit drugs like heroin, cocaine, and others. While addiction to these drugs is a big problem in the country today, there are also substance abuse situations that occur more and more each day with prescription medications. Painkillers and opioids of many types today are regularly abused, and getting caught up in substance abuse like this can quickly erode every facet of your life. If you find yourself caught in the web of substance abuse of any kind, the help you need is available to you from the residential drug treatment in Lynwood we offer here at Canon Human Services. Treatment at a residential facility can be highly effective for many individuals today. There are people caught up in the throes of an addiction that need to be removed from their everyday environment in order to receive the detoxification services and therapy that can help them recover well. An inpatient facility can provide you with the safe environment and medical care that you require now in order to get better and start the recovery process. You can receive the care, individual and group therapy treatments while a resident that can help you learn the strategies and methods you need to live as a recovering addict in your world again. 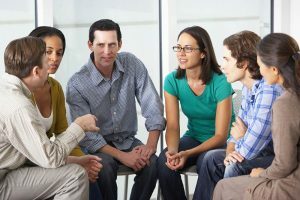 Here at Canon Human Services, the residential drug treatment in Lynwood that we offer provides you with the ideal atmosphere to aid in your recovery. We have the community in place to assist you and support you through the process and can help monitor your progress each step of the way. Our support services extend beyond the residential treatment. We realize that aftercare is vital to quality recovery and offer the support services you need so that you can continue to succeed once you leave the treatment facility. To learn more about our residential drug treatment in Lynwood and how it can benefit you, please take the time to contact us here at Canon Human Services. You can make use of the contact form here on our website, or you can call us directly at 323-249-9097 and speak with a member of our staff. We can help answer any questions you may have and present you with the treatment options available that will best for you to aid in your recovery.